If you’re an IT security professional, chances are you've recently spent some quality time with your CEO. 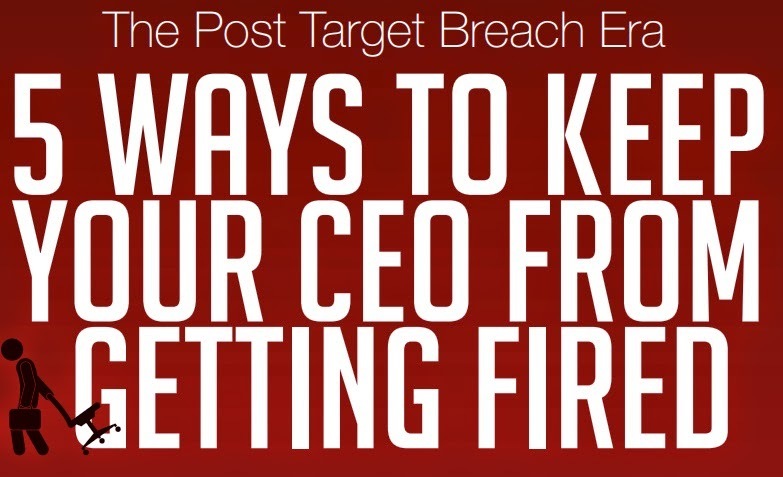 In some cases, the target breach has put network security on the board room agenda for CEOs. Security breach is known as an act from outside an organization that bypasses or contravenes security policies, practices, or procedures. A similar internal act is called security violation. 1. Know what data is on your network, where it is and why it's important - Intellectual property or personally identifiable information is very sensitive, you need to know where this information resides in your business. It is important to audit the business managers to see how people use data and where, so you can get a complete picture of the risk. 2. Measure the effectiveness of your security systems with analytics and visibility tools - Don’t just have security systems, measure them to see if they really are blocking threats. The best practice is to establish a set of reports, graphically evaluate data and run real-time monitoring. 3. Ensure time and money are spent protecting the right assets by conducting a risk assessment - There are different formulas for assessment, for example Risk = Threat x Vulnerability x Impact, make sure you are conducting quantitative analysis. Note that if you don't understand the risk, you can't determine if or how to protect against it. 4. Make sure you have a business continuity and disaster recovery plan that is executable - Problems do happen, even if you plan to stop them, you must be prepared to react fast. Your plan should eliminate the 'fire drill' mentality that often occurs when disaster strikes. 5. Establish accountability by assigning a dedicated security role (or roles) -Many organizations place the security responsibility on the general IT team. Implement a dedicated position to help stregthen the security wing of your organization. Want more tips to keep you and your CEO on the same security page? Visit CEO Security page now.